Game 2 Talk 'N Text vs. Rain or Shine Semifinals PBA Commissioner's Cup 2014: Date, Time, Live Stream, TV Info and Preview - Balita Boss! 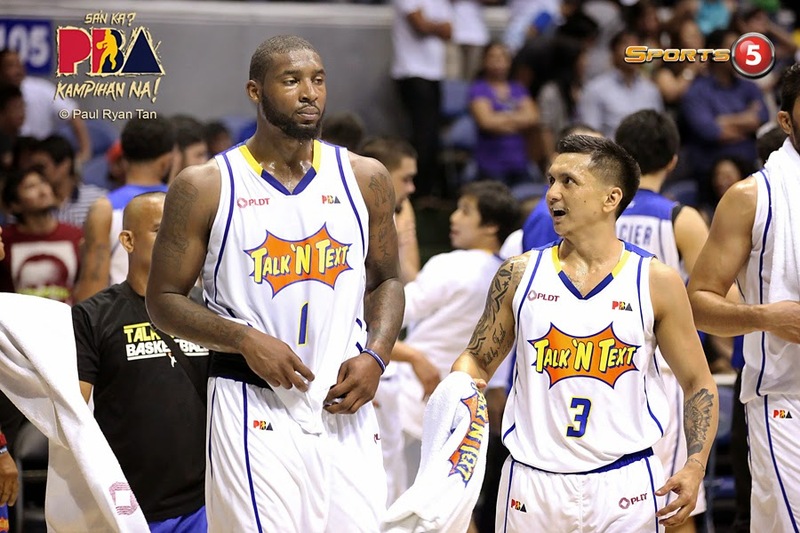 The Talk ‘N Text Tropang Texters took Game 1 against Rain or Shine Elasto Painters. The Tropang Texters remained undefeated in PBA Commissioner’s Cup 2014 with a streak of 11 wins. Game 2 of this best-of-five series tips off at 8:00 p.m. PST on Wednesday, April 30 at the Cuneta Astrodome. The game will once again be nationally broadcast live on TV5 and replay of the game can be seen on Hyper channel 43. In Game 1, the Tropang Texters relied on their veteran to get a come-from-behind victory over the Elasto Painters. Jimmy Alapag, also a Gilas Pilipinas point guard, scored 11 of his total 15 points in the final period, leading the Talk ‘N Text as they trailed by as much as 10 points early in the second half. Jason Castro, the leading candidate for Best Player of the Conference (BPC), put in a solid performance during the win, recording 16 points and 7 assists. The Talk ‘N Text also had a solid performance coming from their import Richard Howell with 14 points, 22 rebounds and two blocks. Ranidel De Ocampo, also a candidate for BPC, added 13 points and Kelly Williams posted 10 points for Tropang Texters. The best player for the Rain or Shine in the loss was Wayne Chism who recorded a game-high 25 points along with 22 rebounds, two assist and seven blocks. Jeff Chan contributed 18 points. Ryan Arana added 10, while Paul Lee was limited to nine points. The Painters missed the services of Gabe Norwood and Chris Tiu. Norwood was invited to the State Dinner with US President Barack Obama and Philippine President Benigno Aquino III, while Tiu missed the game after suffering a knee injury. With 17 seconds left in the game, import Howell lost his temper after getting a tap from Rain or Shine coach Yeng Guiao. Talk ‘N Text coach Norman Black subbed out his import for the remainder of the game to avoid getting into a dangerous situation. "I think that's how the series is gonna go," said Talk ‘N Text head coach Norman Black. "It's gonna be intense, it's gonna be physical, it's gonna be rugged. [We] gotta control our emotions." "It's the first game we had control in the third quarter, but there were defensive breakdowns that caused us to lose momentum," said Rain or Shine head coach Yeng Guiao. "One thing is certain, we feel we can beat this team. We'll try again next time. I guess we can give it a better try with Gabe coming in to play."